"Dr. Romano has been Daniel's MD since birth-12 yrs. She is very knowledgeable and would recommend her, and have as I have in the past. " "We are recommending both the center, and Dr. Angela Romano to our families and friends." "Dr. Romano is amazing! So knowledgeable, so professional, kind, caring!!" "Dr. Romano is good to me all the time, she explains everything in detail"
"I am very thankful to Dr. Romano. She has blessed our family with her care." "Dr. Romano is an amazing physician & an incredible human being. " "Dr. Romano takes the time to explain everything. I never feel like we are being rushed out. She shows genuine concern for my son." "I appreciate that Dr. Romano speaks directly to my son. He is then more responsible for his care." "Dr. Romano was amazing! Explained everything & eased our anxiety!" "Was very pleased with the physician. She was very knowledgeable & helped us to understand our son's condition thoroughly." "Dr. Romano was very helpful in answering all and any questions: She was very warm and spent time with us reviewing all tests. She was amazing!" "There should be more doctors in the world like Dr. Romano. She is wonderful." 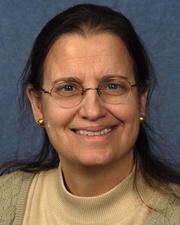 "dr Romano is always helpful and explains information verbally and I like that she uses charts." "She was so excellent with us. We were so pained, but Doctor Romano treated us very good." "Even though this is a pediatric office, my son feels respect and equal when Dr Romano speaks with him." "Dr. Romano is an outstanding physician." "I would recommend her but I would make sure they ask in detail what exams, how long the wait time and how long exam would take." "Doctor Romano is kind, caring, professional & very knowledgeable!" "Dr. Romano & her medical staff were superb in all ways." "Dr. Romano was kind, thorough and explained everything very well. I felt much more reassured after I saw her." Jonathan McGoey endured a lifetime of heart issues related to Marfan syndrome. After heart surgery, he's now enjoying his family.